In 2008, Sky and British Cycling set themselves a target to get one million more Britons on their bikes. Today, the duo have hit that target, ahead of their self imposed 2013 deadline. The target was set when the two first teamed up as a way to measure success of the partnership that aimed to grow the sport at all levels, from the grassroots to the elite. How have they encouraged more people to cycle? By establishing a series of popular, large-scale city centre rides and weekly local rides, and by supporting the sport at the highest level. It has culminated in the most successful year ever for British cyclists: six World Track Championship titles; the first British winner of the Tour de France; and a record Olympic and Paralympic medal haul of 16 gold medals. Sky and British Cycling said ‘the success of the elite cyclists has played a crucial role in inspiring more people of all ages and abilities to get on their bikes for fun and fitness’. Chief executive of British Cycling Ian Drake added: “This is a fantastic culmination of an incredible year for British Cycling. In just four years, we have created an unprecedented shift in participation in cycling thanks to our partnerships with Sky, Sport England, local authorities, and a national network of trained Ride leaders and volunteers. Sir Chris Hoy commented: "It has been an incredible summer for cycling and it’s fantastic to see so many people enjoying riding their bikes and loving the sport. There are so many opportunities to cycle wherever you live and it’s clear that Britain is now a true cycling nation." Independent research has been conducted by GFK NOP through annual surveys of 10,000 adults across the UK. The research looked at a person’s current cycling behaviour versus the previous year. A ‘regular cyclist’ is a cyclist that has cycled at least 12 times in the past year. 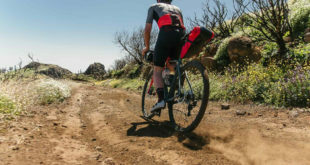 As part of its support for inspiring new people to cycle, within its own business Sky is encouraging more of its people to cycle through a variety of cycling events and facilities including a cycling club, buddy system, bike hire and an on-site cycle shop and cycle mechanic. There are currently 30 per cent of Sky employees who cycle regularly.